Mmmmm….strawberries! As we head into summer, we love the better prices (and better diversity) of fresh fruit available! 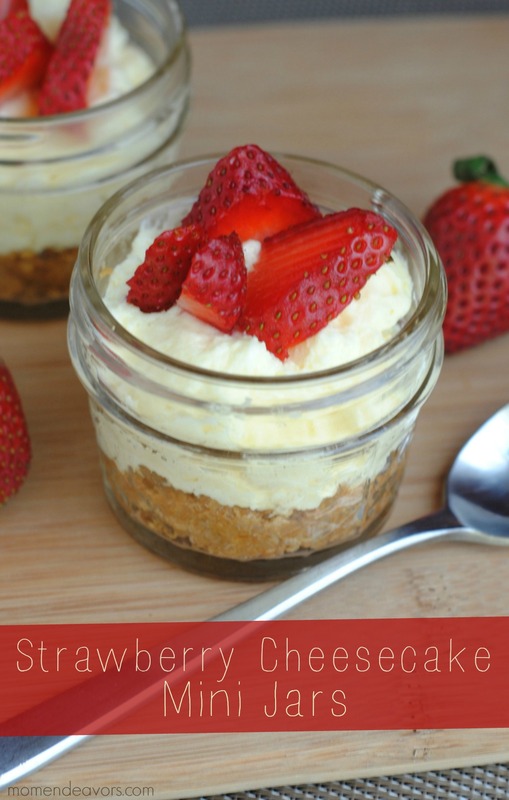 It’s the perfect time of year for all kinds of fresh & fruity recipes, and strawberry cheesecake is no exception! Combine the melted butter and your 2 C. of graham cracker crumbs. Press about 2 tbs. of the mixture into the bottom of your 24 jelly jars. In a medium size bowl combine the softened cream cheese, ¾ C. sugar and vanilla. Blend with a mixer. Add each egg one at a time blending well on low speed. 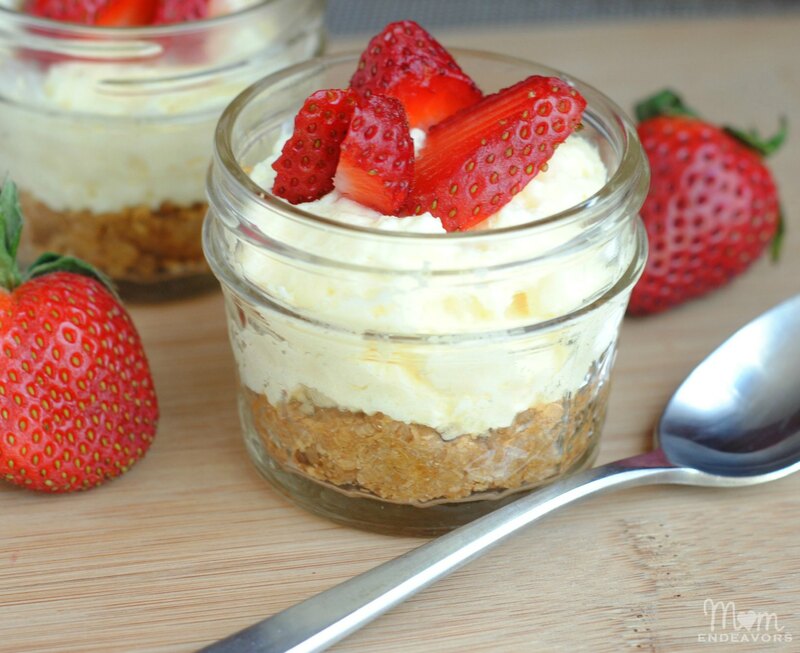 Add 2­ to 3 tablespoons of the cheesecake mixture on top of the graham cracker crust. Bake 25­-30 minutes. Cool and refrigerate completely. Add fresh strawberries right before serving. *Makes approximately 24 servings. 1 jar = 1 serving. Store in the refrigerator with the lids on up to 1 week. Leave the fruit off until serving. Yum!! Now, how about 11 more treats made with fresh fruit?! It’s the 12 of the month, so that means it’s time for another #12bloggers post! 12 themes, 12 bloggers’ recipes with 12 ingre­di­ents or less, posted on the 12th of the month! We’ve already shared quick & healthy meals, Valentine’s treats, and spring-inspired treats. 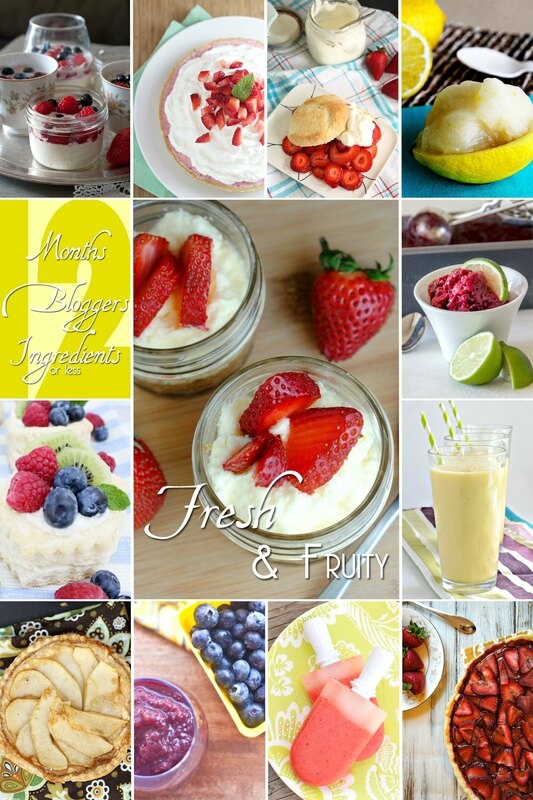 So, now just in time for summer, we’ve got 12 delicious fresh & fruity recipes that you’re sure to love! Doesn’t everything look so fresh & delicious?! We’ve got a great diversity of flavors this month, so you’re sure to find something you’ll enjoy! Be sure to head over to each site to get directions and pin the recipes for later! Stay tuned for the 12th of June when we’ll all be back with another fun themed recipe day! What fresh fruit treats are your favorite? Sara these look so yummy! I definitely need to brush up on my desserts in a jar recipes!! 😉 Pinned! 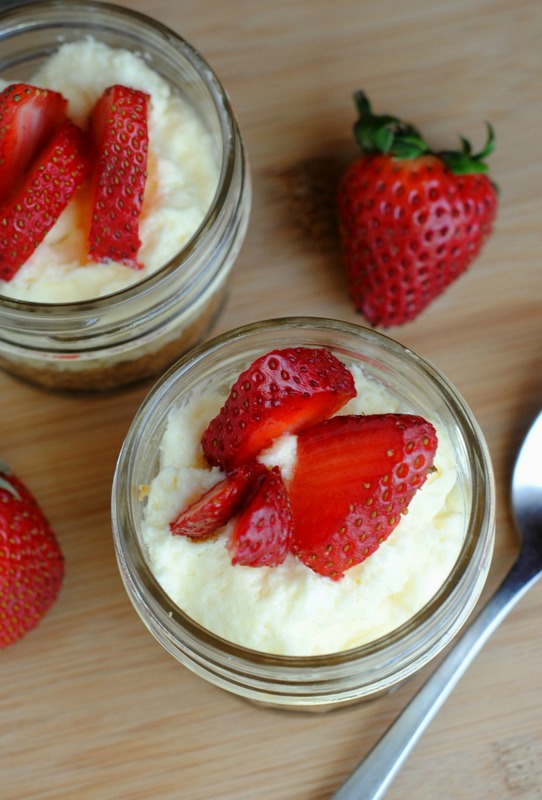 I love desserts in mini jars- so pretty and great for portion control too! These are so cute and so easy to make! I bet my guests would love these at our next BBQ! Did you prebake the crust first?